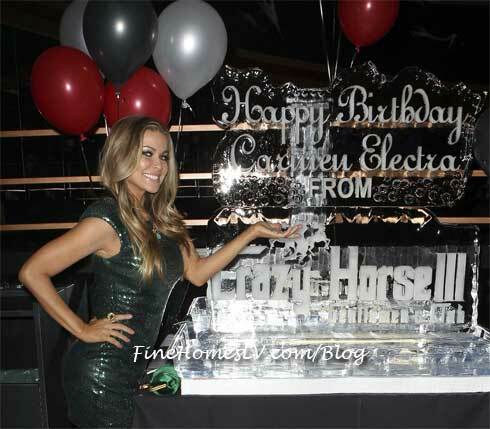 Iconic beauty Carmen Electra celebrated her 40th birthday in style as the curvaceous stunner held court at Crazy Horse III Gentlemen’s Club and Posh Boutique Nightclub last night. Electra entered the club sporting a form-fitting dress by Single, accompanied with sky-high Christian Louboutin stilletos and bag. The crowd went wild when the bombshell made her way to her VIP booth, where she was greeted with two dozen long stem pink roses and Dom Perignon champagne. The gorgeous Playmate was all smiles, showing off her sultry dances moves to a packed house of admiring fans.